I mean it when I say, Jamie's blog is my go-to when I need to find something amazing to cook or bake for Mr. B.
Jamie was kind enough to cover for me last Fall while I was away at my oldest son's wedding and I was so pleased that I could return the favor! I shared one of Mr. B's favorite meals. Mr. B craves comfort food. 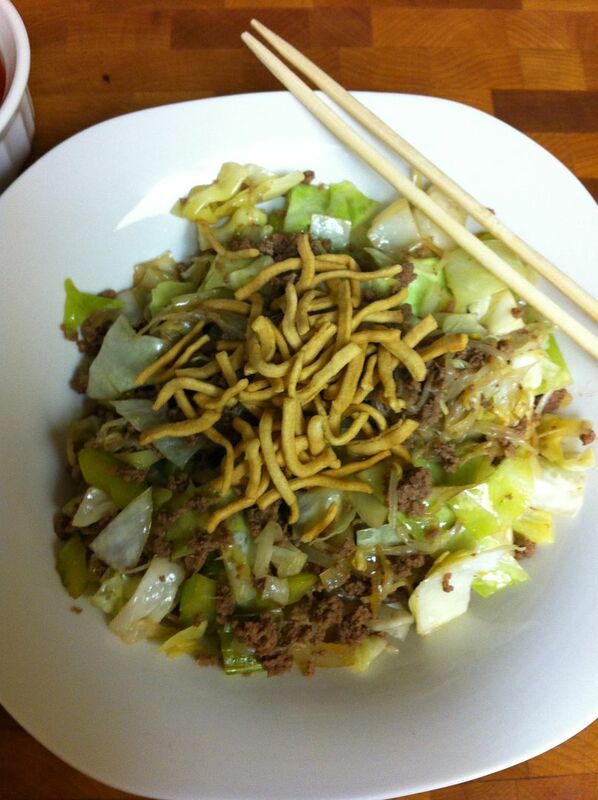 and today I am sharing one of those with you, her Chop Suey. This is such a quick and easy meal to make. It's so much better than take out, you'll find yourself craving it too! Brown and drain the ground beef and return to skillet. 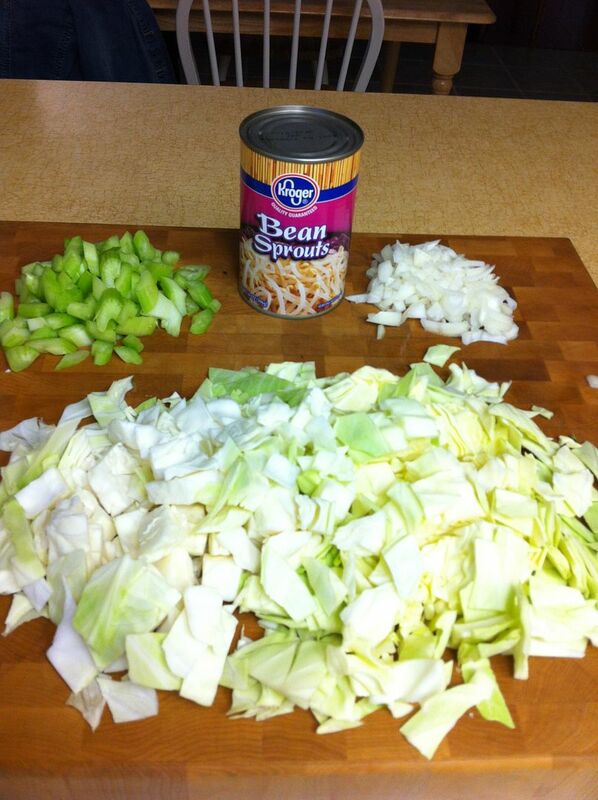 Stir in the onions, celery and bean sprouts. Add the sugar and soy sauce and mix in thoroughly. 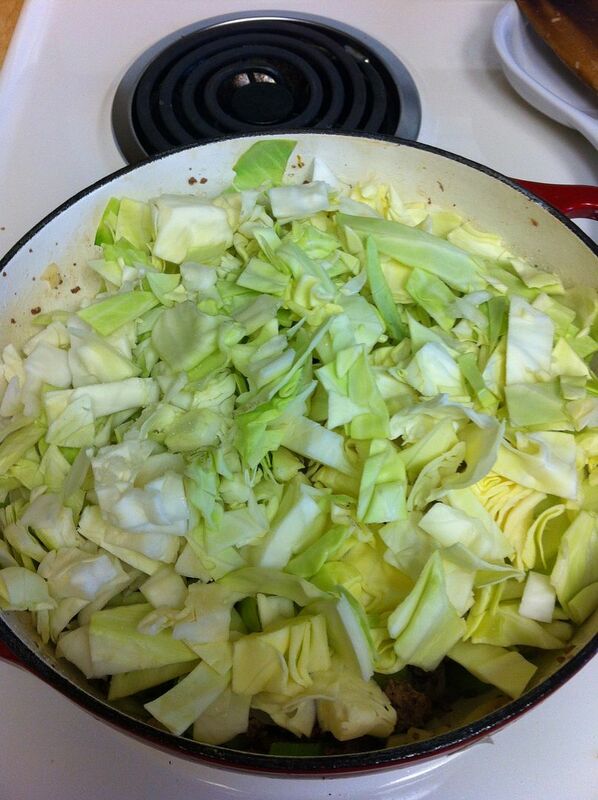 Top with the cabbage, cover and heat until the cabbage is wilted, stirring often. Serve with the sweet and sour sauce and chow mein noodles. 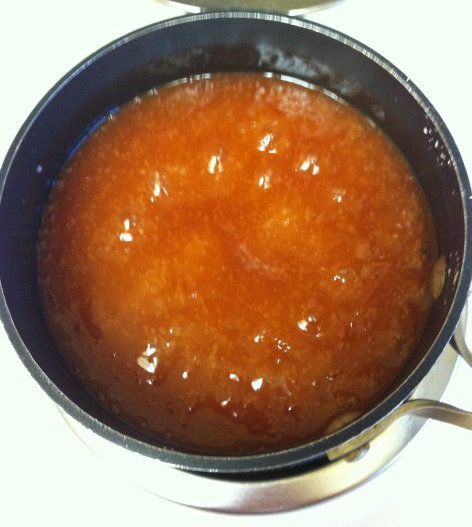 Combine the ketchup, vinegar, sugar and water in a sauce pan and bring to a low boil. 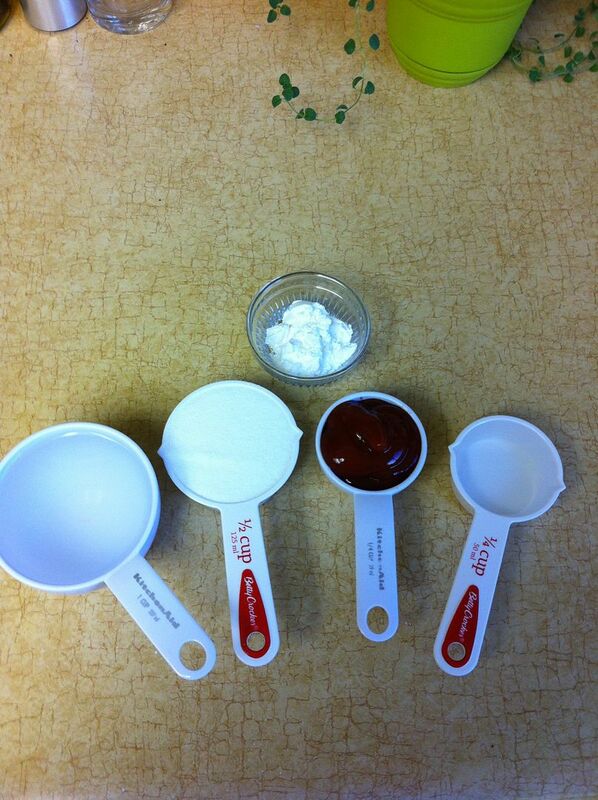 in a small bowl, add a little cold water to the cornstarch and mix until you have a smooth slurry. Add the cornstarch slurry to the sauce and stir until thickened. And there you have it! A tasty dinner on the table in no time! 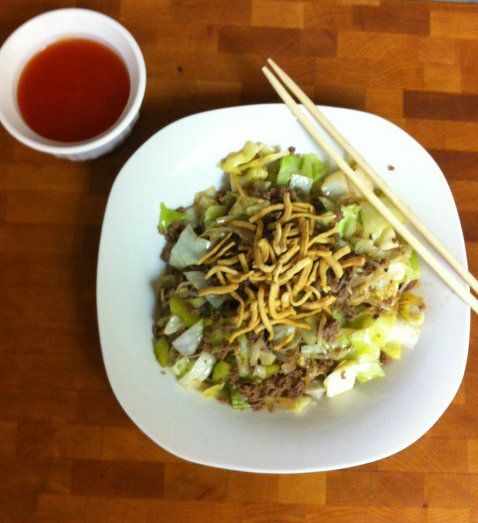 Kathe, this chop suey recipe looks so good. I'm printing this one off, so I can make it soon. It really does look like the Chinese version of Southern Comfort Food. Thanks for sharing this with us! Yum! I love chop suey! Kathe, I was fighting coming over here, but the tempting photo made me. It looks and sounds delicious - so savory! I wish there was blog-o-smell! Sounds yummy - thanks for linking up at the Pinterest Power Party! Yummylicious! It's about time I make some instead of buying it every sunday, lol!!! Thank you so much for sharing Kathe! Have a great day! Oh my. Another way of cooking Chopsuey. The title actually catch my attention because we also have Asian Chopsuey. It is quite different because you are using Sweet and Sour Sauce. Never thought of this. Very interesting recipe. Hopefully, I'll try when I have the chance. I would like to invite you to join Pin It Monday Hop Where you pin and get pinned (LINK). You can share up to 4 post. If you get a chance, I'd love for you to stop by and join us. I hope to see you there. This sounds so yummy. I wrote it all down. Now if I can only find the noodles in Italy. Cheers. I found you from The Shabby Creek Cottage. It has been years and years since I ate chop suey! My Mom loved it and would order it every time we went to her favorite Chinese restaurant. I guess I never really though about all the ingredients that go into it. It's actually a fairly healthy dish! Glad to see this recipe! Maybe my Mom will come over and have some with me! :-) Have a good weekend! I like chop suey but have never made it. You've certainly made it seem simple enough so it might be a good time to try it, especially since I'm still craving Asian flavors. Just pinned this! I can't wait to try it out! Oh man this is getting made soon! love it! Id love for you stop by and share this at our party! Kathe this looks and sounds wonderful. Thank you for sharing at the hop, your participation males the hop extra special. Big Hugs P.S. the new giveaway will be posted tomorrow! I'm a new follower, I'm going to love your blog! My DH would love this! His Sis-in-law makes him chop suey with pork all the time. This could be his new favorite if I make it for him. You're right! Jamie's blog is a great resource for baking and cooking! THanks for sharing at Pinworthy Projects. This Chop Suey looks so delicious! I'd love for you to link up a few yummy recipes at my weekend link party@The Weekend re-Treat! Ohh... girl now this looks yum yum give me some good! Thanks for sharing your grandmother's recipe! It looks so heartwarming and delicious, I can't wait to make it. Thanks for participating in Foodie Friday! Oh yes, I love chop suey. Think I will make grandmother's recipe tomorrow. Thanks for sharing with SYC. this looks great! I can see doing this for a fast lunch! This sounds delicious! Thanks for sharing at through my creative mind! Thanks for the recipe - I cannot eat soy sauce at all, but I know people who will love this! This looks great Kathe!! Thanks for sharing! My grandmother also used to make this dish :) I have to say though, this recipe looks easier and a bit tastier, so I am going to Pin it. It brings back memories of Grandma though! Thanks for sharing. I'm getting hungry just looking at all these wonderful recipes! Thanks for sharing. This dinner does sound easy and good! I love a dinner that comes together quickly! Thank you for sharing this wonderful recipe at the In and Out of the Kitchen Link party. I look forward to seeing what you bring next week. I haven't had chop suey in years. Will have to try! This looks great Kathe! I love Chinese food but my husband hates it. lol I'll have to make this for me though. Thanks for linking up at Transformed Tuesday. It looks great. I'll have to give it a try. Thank you again for sharing this over at my place :) This is on my list of things to try now that life is kinda back to normal! Thanks so much for linking up to All My Bloggy Friends! Oeehhh, that looks absolutely yummy!!!!!!!!!!!!!!! Thank you for sharing the recipe at the FineCraftGuild.com recipe linky party. Love this, Kathe!